They're only $11 and they saved my fingers from despair. Blood orange salad sounds delicious. But the chef's blood in the salad? Not so much. As any home cook who has sliced a hand open with a kitchen knife knows, accidental cuts are no fun. 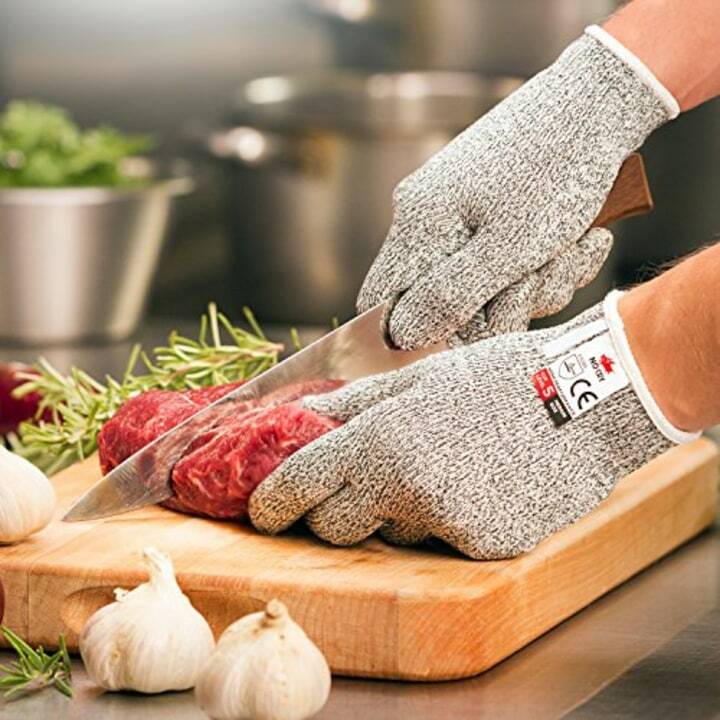 Recently, my chopping situation got so bad that I was tempted to try a pair of those Kevlar-like, protective kitchen gloves. 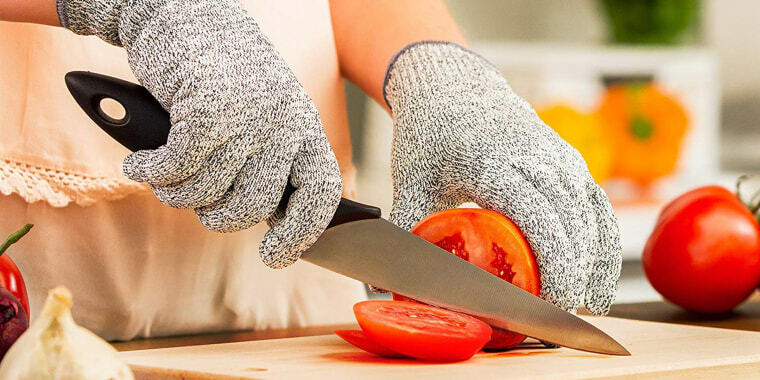 After back-to-back incidents cutting up an acorn squash and some cilantro, I ordered the NoCry cut-resistant gloves on Amazon. With more than 10,000 reviews and a cumulative 4.6-star rating, they seemed like a good place to start. There's even a video of someone trying to cut a finger off with a chef's knife while wearing them (Seriously, you need to watch it. It's insane.). Plus, the $11 price was a lot cheaper than a potential urgent care bill. I was sold. Using the online size guide, I measured my palm and ordered a medium, though I wish I had ordered the small for a snugger fit. The ends of the fingertips bunched up a bit, but the gloves were still usable. The gloves feel lightweight and breathable since they're made from machine-washable polyethylene, fiberglass and spandex. First, I tried them out on my old foe: the acorn squash. I'd avoided cutting this gourd since last fall, when my knife gashed my hand while slicing into its round, smooth surface. Wearing the gloves gave me just enough confidence to try again. I quickly halved the squash without a scratch. Victory! Next, I wanted to try the gloves on something smaller. So, I tried mincing a clove of garlic. They protected my hand. But, here's where ordering a size down would have really helped: The excess fabric made it a little hard to be as precise with small jobs. Another time the gloves shined: using a zester, grater and mandolin. I was able to grate blocks of cheese, right down the rind, without fear of shaving down my fingertips. The gloves also prevented a dreaded case of "avocado hand" when I sliced the fruit. And, yes, I even tried intentionally slicing through them with sharp chef's knives. (Full disclosure: I put celery in the finger holes instead of my actual hand; the instructions make it clear to not try them on your actual digits). The knives didn't cut the gloves open at all. But, I originally saw them as a novelty item. I wanted to see if I'd continue to remember using the gloves after some time went by. So I kept them in the drawer below my prep area, and even after a few weeks, I found myself reaching for them for certain jobs — like slicing herbs — when I tend to move too quickly for my own good. I probably won't grab them every time I chop up something simple. But, I will turn to them for riskier tasks ... or the ones that have traumatized me in the past. Now, I'm back to eating acorn squash and cilantro, unscathed.